and friends of this group of students on Tuesday 10th May 2016. The ‘Final Profile’ is a document which outlines the academic achievements of the students in the form of subject statements which they have been successful in achieving. The profile also contains a Certificate of Participation from the Department of Education and Skills, along with an individual school reference. Students receiving awards were…Jenna Buckley Moore, Ricky Burke, David Dempsey, Jessica Flynn Campbell, Shelby Griffiths, Nicole Heavey, Christopher Hodgins, Justin Lynch, Sarajayne Mc Carthy, Karl McKeown, Steven Murphy, Saoirse McConn, Cody O’Reilly, Juliana Sitenkova, Malcolm Weldon and Savannah Donovan. Following a photograph exhibition displaying the progress of the students since they commenced in the programme in September 2013, school principal Brian Bergin and Programmes coordinator Paul Marron both commended the students referring to their many achievements and the importance of continuing in education. Both thanked parents and staff for their continued support of programmes and activities in St. Paul’s Secondary School. Caroline Cooke, School Completion Coordinator congratulated the students on their achievements and reminded them of their valuable time spent in the homework club and at the Parents Plus personal development programme -‘Working Things Out’. JCSP students Jenna Buckley Moore and Christopher Hodgins then proceeded to speak about their experiences as JCSP students in St. Paul’s, with all making reference to the benefits of improved learning opportunities and having some great fun in the process. Special guest Johnny Murtagh spoke about the importance of remaining in education and being ambitious and confident in their own abilities. He spoke about the difficulties that he faced and how he overcame these. 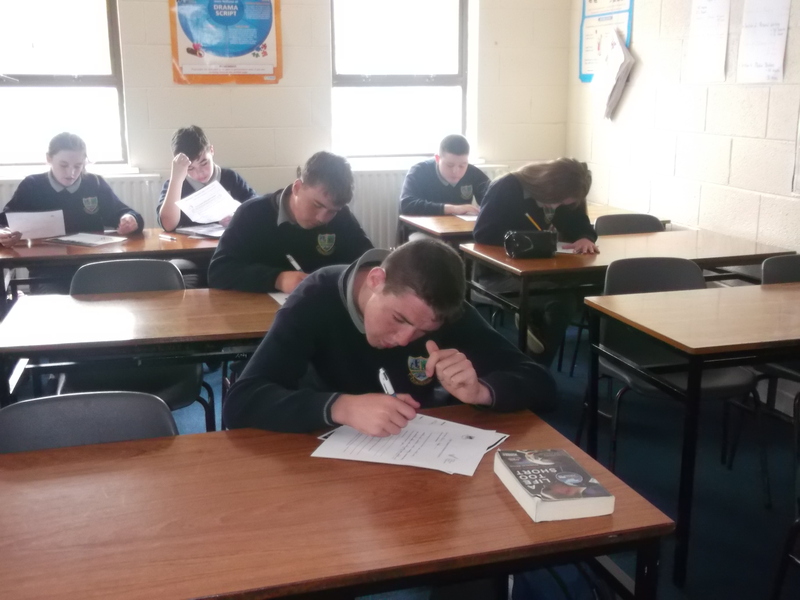 He also congratulated the students on their achievements, wishing them luck in their forthcoming Junior Certificate Examination. 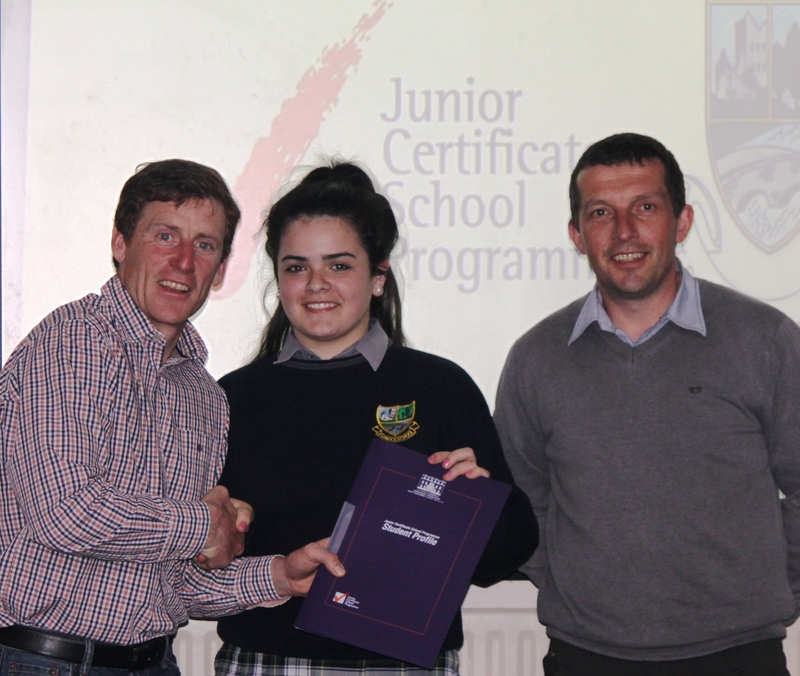 Profile folders were then presented to the students by Johnny Murtagh and refreshments were served to all by 2nd year JCSP students Roisin Shallow and Suzanne Smith, who no doubt are looking forward to their celebration in 12 months’ time.